We are being counted amongst the most trusted names in this domain, engaged in providing Pneumatic Push Elbow. We are trader and supplier of Pneumatic Elbow. 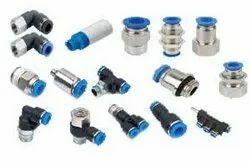 These pneumatic spare parts are very important and required accessories for all the kinds of domestic or industrial fittings of pipelining and machineries. We are availing these pneumatic spare parts to our clients at a very commendable range of prices. 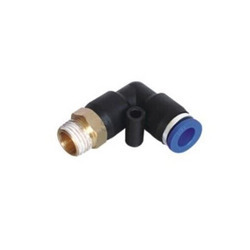 Our organization is committed to deliver qualitative assortment and therefore, engaged in offering optimum grade spectrum of Pneumatic Hose Elbow. Being amongst the prime choices of our respected customers, we are highly engrossed in offering an impeccable collection of Pneumatic Union Elbow that is designed in line with industrial values. Leveraging over the skills of our qualified team of professionals, we are instrumental in offering wide range of Pneumatic Elbow. Having a positive quality management system, we are involved in presenting a comprehensive compilation of Pneumatic Male Elbow.